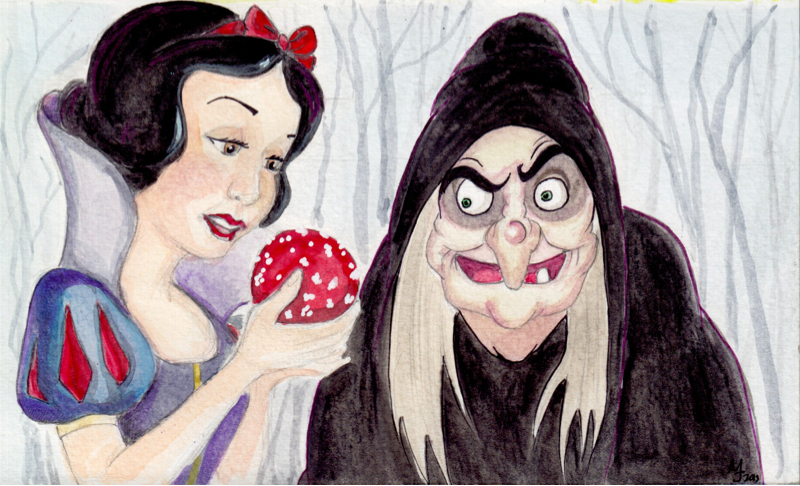 In the original Snow White story by The Brothers Grimm, the poisonous apple was red and white. The witch ate the white part and the Snow White ate the red part, that made her unconscious. There has been some associations between the Amanita muscaria mushroom and the apple in stories like that of Adam and Eve. Perhaps, this could be another example, specially considering the presence of the 7 dwarfs in the story, reminiscent of gnomes often depicted around this mushroom.